For a short period of time last week, Amazon had Fallout 76 listed for a July 31 release date. Fallout 76 was announced last week with only a brief teaser trailer. Shortly after, a pre-order page for the game went up on Amazon. Initially, the product page had a July 31, 2018 release date when it went live (via Massively OP). This has now been changed to the much more vague December 31, 2019. 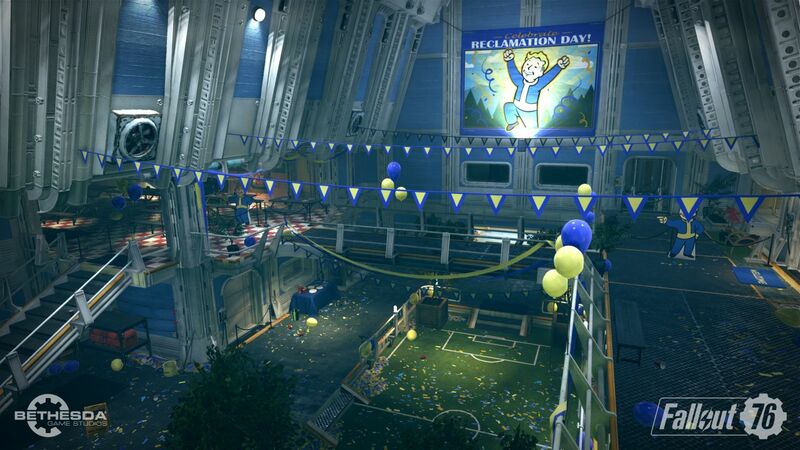 Although Bethesda has yet to announce a release date for Fallout 76, some believe Amazon is privy to this information, hence the July 31 date. Unfortunately, this could be as much an error as it is the game’s actual release date. Bethesda doesn’t typically release Fallout games in July, and if Fallout 76 is indeed due for release this year, October or November would be better guesses. For now, we’ll have to wait on Bethesda to tell all at its E3 2018 conference. In other Fallout 76 news, one report indicated that the game is inspired by survival hits Rust, and DayZ. The Amazon product page is listing it for $60, which indicates the game is going to be a full-fledged sequel.